Jump on the Midnight Train To Georgia this spring with Ardijah, Beau Monga, Lomez Brown and Nofo Lameko! 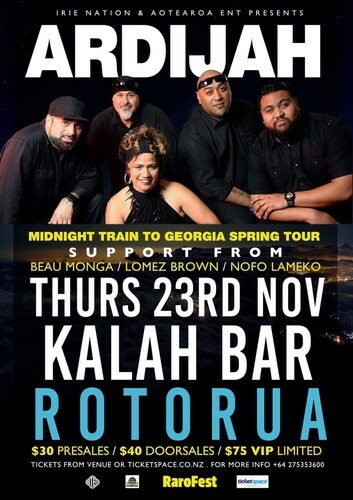 Performing live in Rotorua, Auckland, Wellington, Palmerston North & Napier. Get in quick as this show will sell out, please note this is an R18 event.